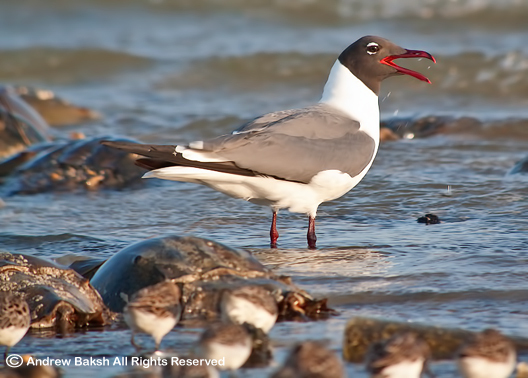 Laughing Gull with Horseshoe Crabs and Semipalmated Sandpipers. According to an article by Planet News, a couple of Swedish scientists think that they have gathered enough data showing that the Great Snipe could be the fastest migratory bird that has been discovered - at least over long distance. Read about it here. 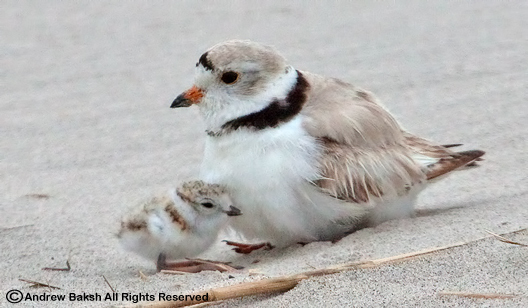 Over the past few days, I have posted several photos of Piping Plovers (Charadrius melodus) and with good reason. 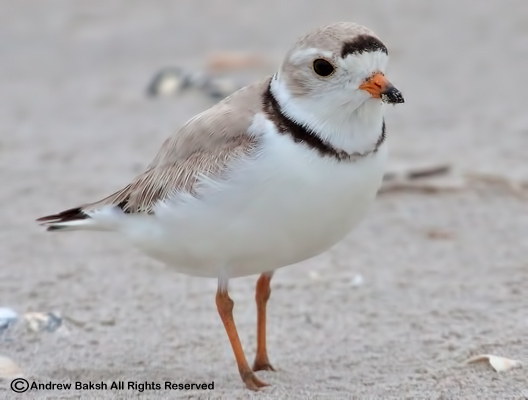 The photo posted on May 24th, was of a Bahamas-banded Piping Plover seen on Sunday May 22nd. 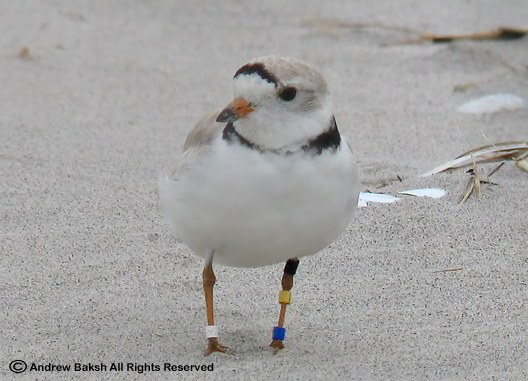 This was my third Bahamas-banded Piping Plover all seen and photographed at Breezy Point Queens County. The other two, were seen and photographed last year. 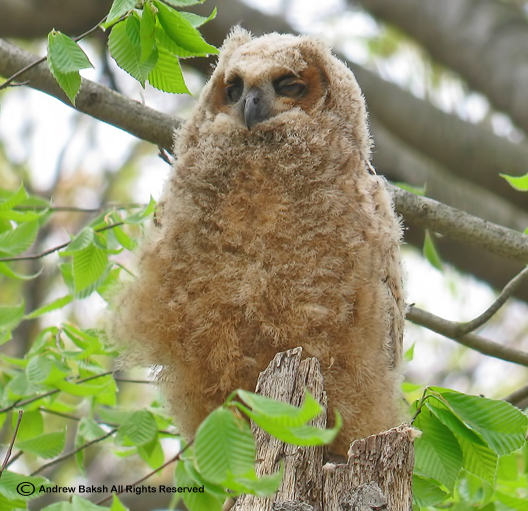 According to records this bird was reported at Breezy point last year where it fledged two chicks. 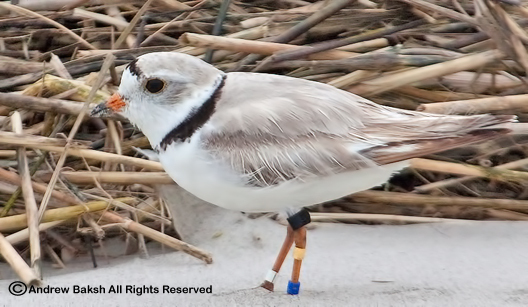 Dr. Cheri L. Gravatto-Trevor who is involved in the research on these banded Plovers, reported that this bird was banded Feb 2010 at South Blanket Sound Flats, North Andros Island, Bahamas. 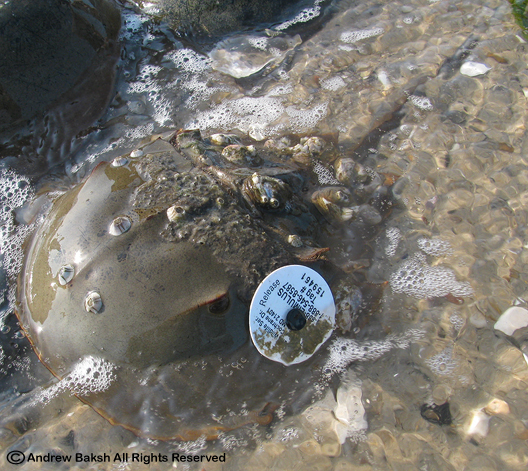 It was seen back in the Bahamas in the same area last Nov and Feb, then on 15-16 Mar 2011 at Lea-Hutaff Island, Pender Co., NC during spring migration. 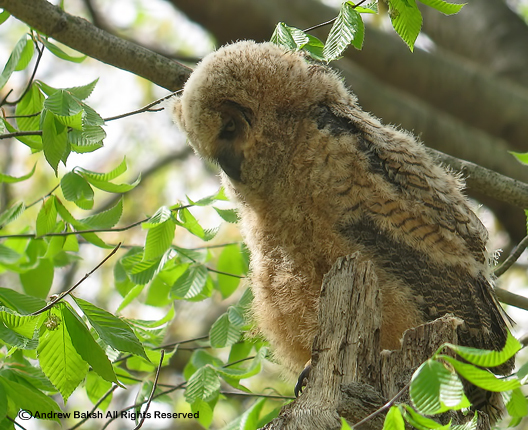 When I photographed this bird on Sunday, it was seen with 3 chicks, which means that she has successfully bred. I am hoping that they survive and she raises another brood. No sign of the other 2 banded birds that I photographed last year at Breezy Point, but I have received word that one was seen in the Rockaway Beach area, which I have yet to confirm. 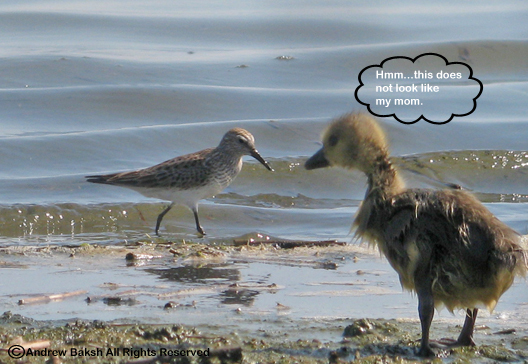 On Sunday, I counted at least 18 Piping Plovers and betting there were more that I did not see. 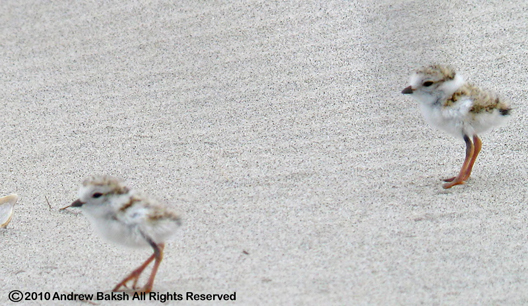 Here are some more photos of the banded Piping Plover with her companion and chicks. 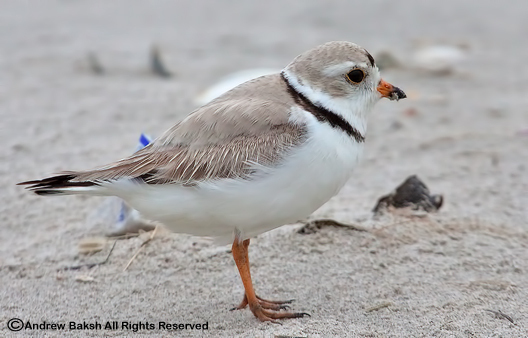 Bahamas-banded Piping Plover photographed at Breezy Point Queens NY. 10 hours plus of birding resulted in 56 species during the Van Courtlandt Park Birdathon that took place on Saturday, May 21st. This is not a shabby number by Van Courtlandt Park standards and it will be interesting to see how well we did, once all the participants submit their numbers. 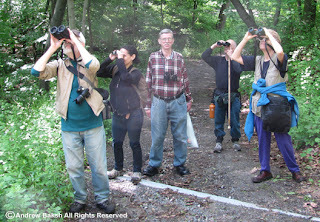 My birding began at around 4:30 a.m. and I later met up with some regulars from our Saturday walk at 6:00 a..m. With the 6 O'clock group, we birded around the restoration area, the parade grounds and along the Van Courtlandt Museum. At 8:00 a.m. we circled back to the nature center and picked up some more regulars along with a few others who wanted to come out and bird with us. We birded along the Van Courtlandt Lake, working our way up through Vault Hill towards the Northwest Forest. Along the way we lost a few participants who had to leave. Once over into the North Woods, we took the bridle path that runs adjacent to Cass Gallagher Nature Trail and birded all the way towards the end of the North West Forest. We then cut back into the woods picking up the Cass Gallagher Nature Trail and looped back towards Rockwood Circle. We then took a bathroom break and folks re-energized with snacks. We then worked our way back over the Henry Hudson Parkway picking up the John Muir Trail which we then birded all the way to the Old Croton Aqueduct Trail. We hiked the Croton Aqueduct Trail, birding all along the way and made the loop back towards the Van Courtlandt Lake on the Golf course side, finishing up right by the golf house. 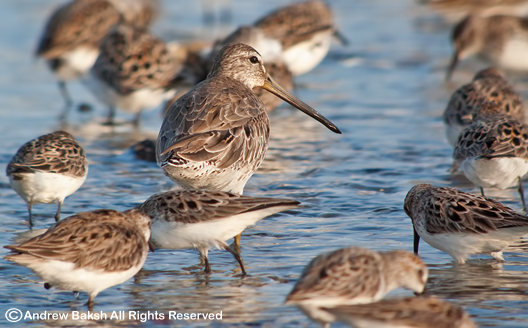 The birding was not easy and we had to really work over those areas where we found activity to get anything. The parade grounds proved once again to be useful as we picked up Monk Parakeets and Great Egrets flying overhead, both of which might be tough for other groups if they were not out there as early as us. A big miss was Wood Duck; I was also disappointed at the lack of Sparrows and expected the parade grounds would have at least produced a Savannah. With little evidence of migration around we were depending on picking up the breeding birds and that is what we did for the most part. The weather was a huge plus, as the somewhat overcast conditions kept it cool enough, so that we did not overheat. I am so proud of everyone who came out in support of this event, especially the regulars from my bird walk. Special mentions go out to Jack Donovan, Alex Pirko, Ruth Kraus and Hillary Russ for committing and coming out at 6:00 a.m. A tip of the hat to all of you who stuck it out throughout the hike. We return to our regular scheduled time of 8:00 a.m. next week. Below is complete list of all the species from our walk. 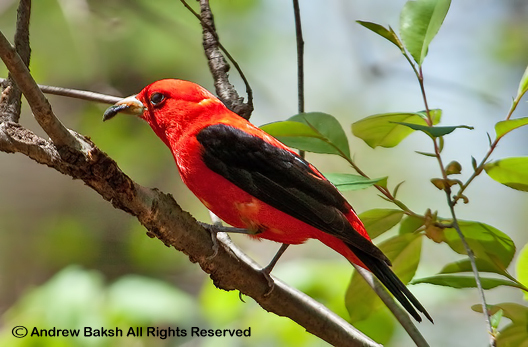 If you wish to support our effort in the Birdathon, you could still make a pledge. 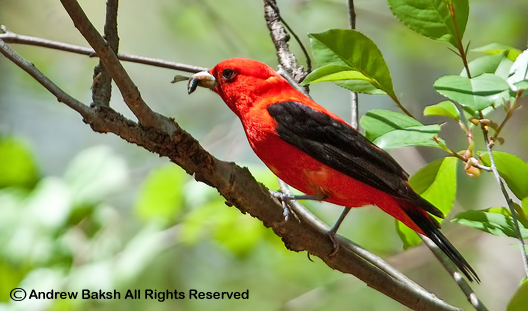 Remember, it is all for a good cause as the money goes into the conservation work and birding programs at Van Courtlandt Park. Click here to view and download the pledge form. 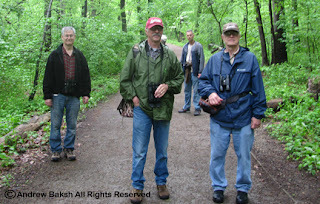 Last Sunday, I went to Forest Park in Queens NY, where I met up with naturalists Rich Kelly and Al Lindberg. 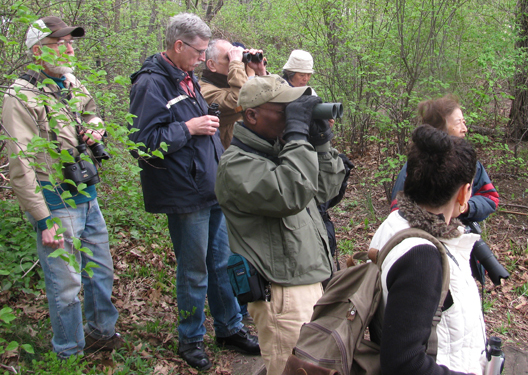 We had planned, on doing a bit of birding before meeting up with Mike Feder, another naturalist who was scheduled to do a botany walk that morning. Rich, Al and I looked and listened for birds as well as talked a bit about botany. After about a half an hour of birding/botany, we met up with Mike and the botany chatter really then picked up; Mike used us as his test subjects, in gearing up for his walk later on in the morning. We were ambling along on Forest Park Drive, when we ran into another birder and friend, Doug Futuyma who joined us and together we continued working our way around Forest Park, birding and checking out plants. It was relatively quiet, until we hit an area called the “Little Gully”, then we began picking up pockets of activity. 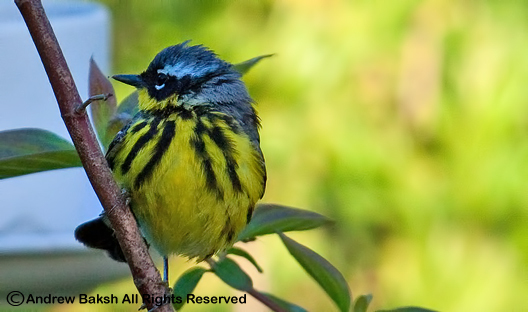 We had to work very hard for our birds as they were high up, but those that sang like Chestnut-sided and Canada Warblers, allowed us to track their presence high up in the canopy and we slowly began to build our day list of warblers. Over by the railroad tracks, the songs of Indigo Buntings and Rose-breasted Grosbeaks alerted us to their presence. Another birder, Peter Reisfeld, joined us making a group of 6; we continued working our way on the northern segment of the bridal path loop located just east of the “Big Gully”. 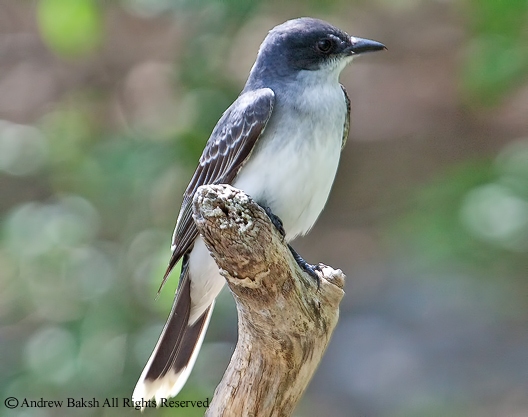 We had stopped to work over some warblers that were high up in the canopy, when I got a fleeting look at a bird whose sides showed white with streaks. My mind stumbled over possible candidates as I tried to track its movements. While the lighting was poor, I ruled out Black-and-white Warbler Mniotilta varia, but was not entirely sure as the look was very brief. What the heck was it then? The bird was way back in the canopy and stayed out of sight for a bit, but I did not give up trying to track the obscured movements behind leaves. 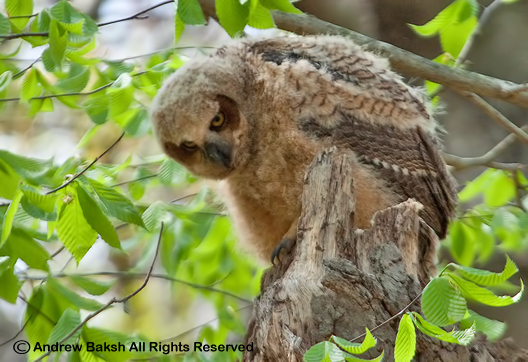 Suddenly, the bird shifted and showed another angle, as it poked its head out from behind some leaves. Guys, I think I have a got a “Yellow-throated Warbler” Dendroica dominica, I managed to blurt out. Then I lost the bird in the canopy. Rich, Al, Peter, Mike and hidden is Doug. Everyone was now trying to get on the area I was looking, and tempted as I was to put my bins down and guide others to the location I did not, remembering the hard lesson last year with the missed Connecticut Warbler. I talked everyone through to the area where I was looking when the bird popped into view, I yelled out for everyone to, "get on the bird"!!! No one was saying anything; I needed someone else to confirm what I had spotted. Suddenly, Doug replied, “I’ve got it”. Did you confirm the ID was my response? 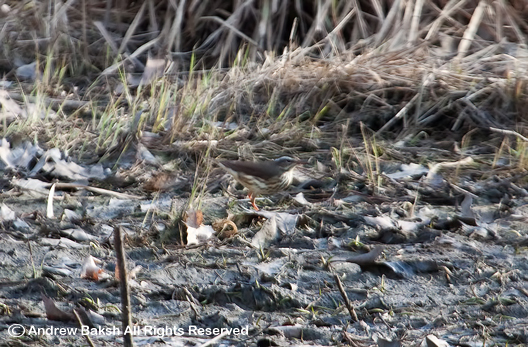 My question was greeted with silence then Doug, answered, yes, “It is a Yellow-throated Warbler”. Slowly everyone worked over the area until they all got on the bird, which then became a bit more cooperative staying in view a little longer, as if to reward us for the neck breaking views. I was pretty pumped up. This was a bird I had dipped on last year and finally this year I had gotten my first of the state in Staten Island and now my second, but more importantly, this one was in Queens, my home county. Everyone was ecstatic! 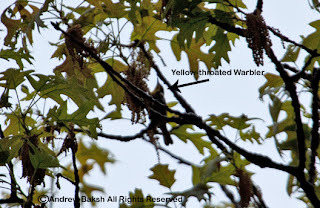 Birder, Tom Burke had found a Yellow-throated Warbler about a week ago in Forest Park and someone (not sure who it was) had seen one the day before during the Queens Bird Club Big Day event in Forest Park. We had not given it any thought as to finding one and here we were enjoying our looks - talk about luck. Our group continued birding, but soon parted ways. I was feeling lucky and so decided to continue birding with Peter and Doug. We picked up additional birds including a non singing Worm-eating Warbler. Peter soon left and Doug and I headed to Jamaica Bay. At Jamaica Bay, we did not find the Kentucky Warbler that some of us had on Thursday and so we decided to head out to Jones Beach LI. 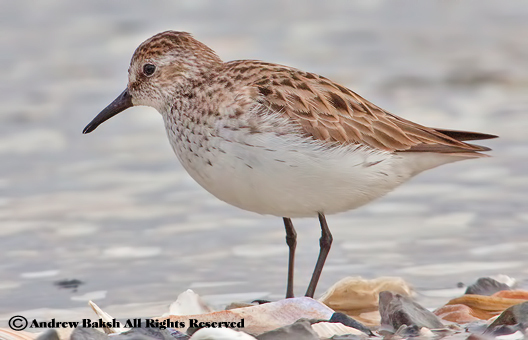 It was at Jones Beach, that Doug and I had our second rare bird of the day - more on that in another post. This past Saturday, our group met up at our usual spot, the nature center near the parade grounds. We did our usual scan of the grounds, then quickly headed out to bird along the Van Courtlandt Lake. We did not encounter any of the hotbed of activities we had the previous week before, but picked up birds here and there. 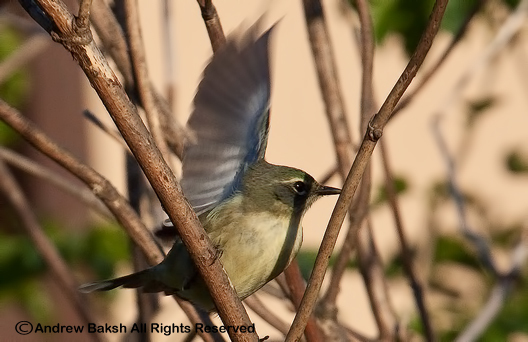 We had nice looks at Warbling Vireos, Blue Gray Gnatcatchers and Northern Rough-winged Swallows. I kept the walk to 2 1/2 hours since I had another walk at the New York Botanical Garden, filling in for NYC Audubon Director, Glenn Phillips. 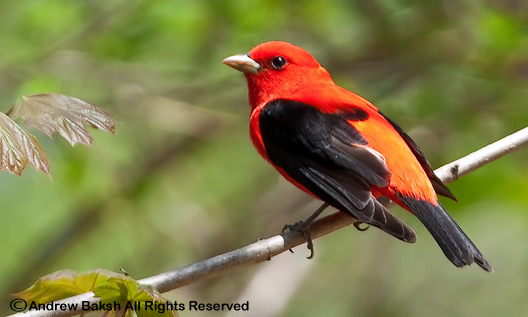 Next week is the Van Courtlandt Birdathon and I plan on being at Van Courtlandt Park, as early as 4:00 a.m. to get an early start. Some of my regulars are planning to join me at 6:00 a.m. and others will catchup with us during our regular start time of 8:00 a.m.
Below is a list of the birds seen on our walk. I will have more on this find later. 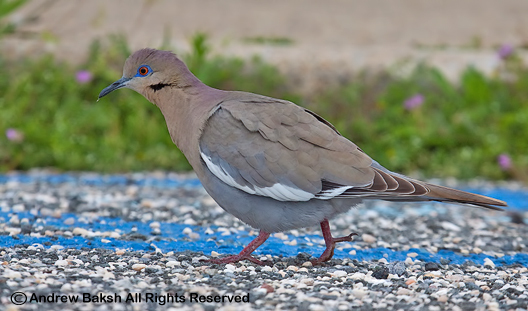 Here is a photo of the White-winged Dove that Doug Futuyma and I found today at the Coast Guard Station Jones Beach LI. When we left, it had relocated, but re-found by Tom Burke in the bushes in the dunes across/behind the parking lot. Did a bit of yard work this afternoon, clearing out some of last year's causalities due to a dry spell. After getting some much needed work completed, I relaxed trying to watch for anything flying by and picked up Chimney Swifts, Tree Swallows, Great Egret and Laughing Gulls. 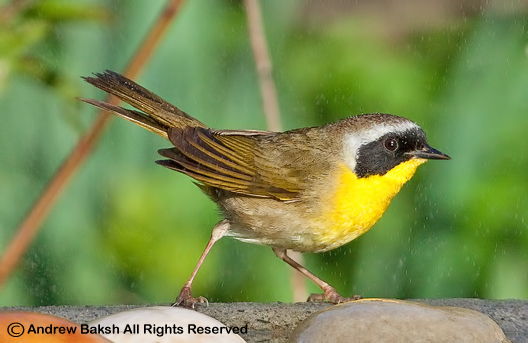 I was also pleasantly surprised by a couple of Warblers in the garden, Black-throated Blue (Dendroica caerulescens), Magnolia (Dendroica magnolia) and Common Yellowthroat (Geothlypis trichas). Having the camera handy came in useful, as I was able to get a couple of shots off, capturing the Magnolia and Black-throated Blue. 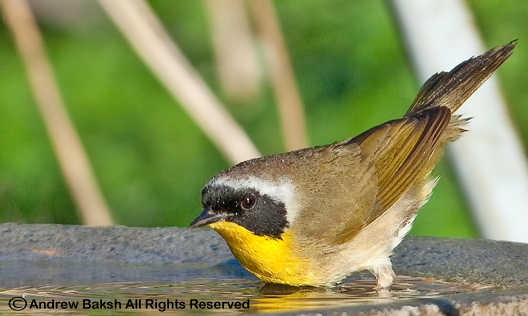 Hopefully, I get to see more warblers in the garden as we hit the peak of migration. Female Black-throated Blue Warbler in the garden. Magnolia Warber in the garden. This past Saturday, our group met up up at the nature center near the parade grounds and after picking up a few Killdeers (Charadrius vociferus) American Robins (Turdus migratorius), Red-winged Blackbirds (Agelaius phoeniceus) and Brown Headed Cowbirds (Molothrus ater) on the fields we headed out to hike the lake. I was hoping to get to the North Woods early to look for migrants, but we hit a little pocket of activity near the Van Cortlandt Lake on the John Muir trail that we worked over. Our first good bird was a Chestnut-sided Warbler that turned out to be a lifer for almost everyone present. Then, I got the group on a Black-throated-Blue Warbler. We continued working the area picking up Warbling Vireo, Rose-breasted Grosbeak, Blue Gray Gnatcatcher, White-eyed Vireo, Ruby-crowned Kinglet and others. We worked the area over very well and then continued on making the loop around the golf course and headed into the woods. Before heading into the woods, we stopped to scan the fields and picked up an American Kestrel perched on the fence, it was in the same area that I picked up a bird in the fence that looked like a Blue Grosbeak. The looks were not great and it was for a fleeting moment as the bird took off and even though I was 90% sure it was a Blue Grosbeak, I let it go because I did not feel I had enough to seal the deal. The woods were disappointingly quiet and we abandoned the area after a short stint and worked our way back to the nature center ending what was a very nice walk. Total species seen 54. Below is a list of the birds seen.